Photo by Patrizia Ilaria Sechi. Forget Venice, Rome and Paris. When it comes to romance, London has everything you could possibly need. From heartbreaking histories to cosy pubs for romantic trysts, unique cinemas and theatres to inspiring architecture and green spaces, the capital had many a date idea to keep you wooing along. 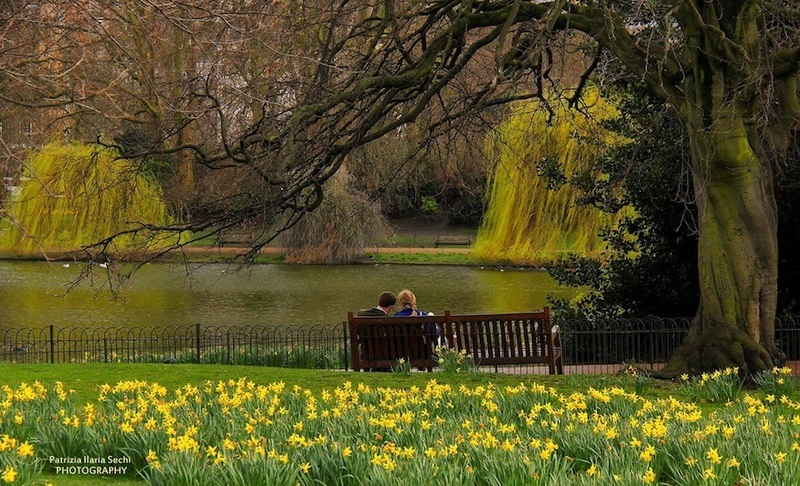 Here are some of our favourite romantic days out in London. Start your day with a boat trip on a Thames Clipper along London's most famous waterway to the Royal Borough of Greenwich, and you can sort-of pretend you're on a Venetian gondola. Greenwich. Photo by Mike King. 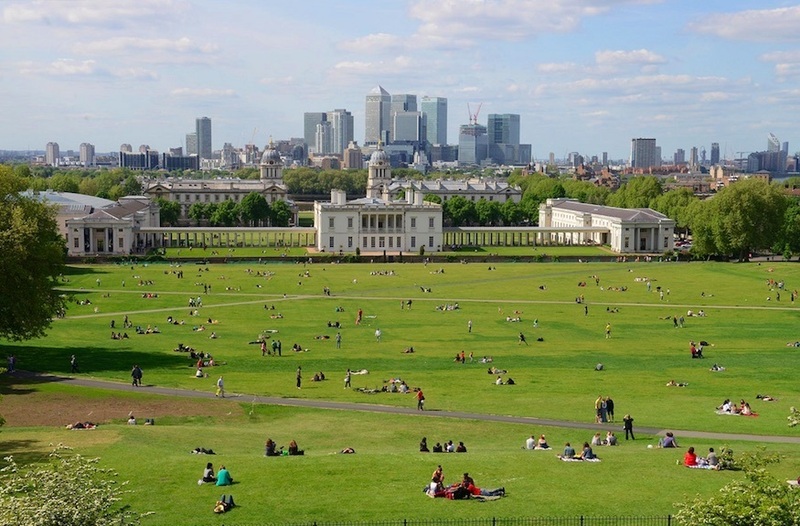 At Greenwich, romantic types will be spoilt for choice. Star-crossed lovers can indulge in Christopher Wren's stunning Royal Observatory; or you could climb Constitution Hill and enjoy a cuddle at the top surrounded by spectacular views over London; or steal a kiss across the world-famous Prime Meridian line - one of you standing in the east, the other in the west. The Painted Hall. Photo by Conor MacNeill. 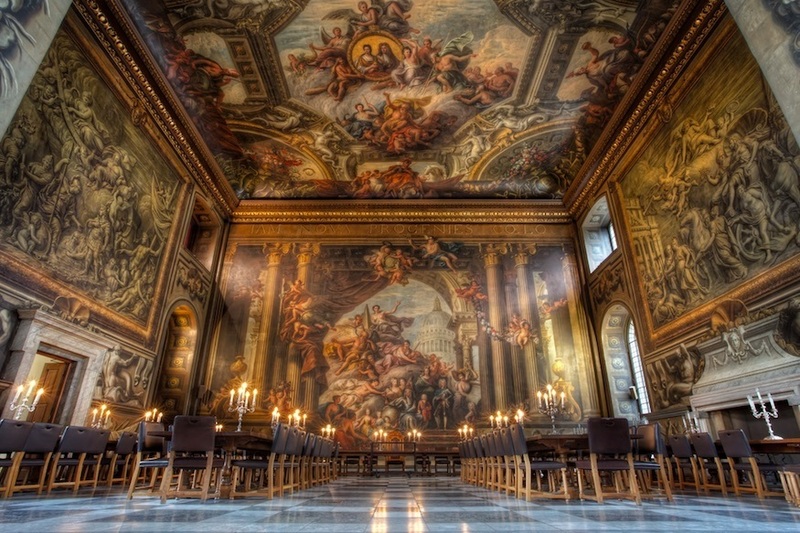 You could even pay your respects to one of history's most famous ruling couples, William and Mary, in the Old Royal Naval College's Painted Hall. The harmonious pair have been immortalised by James Thornhill, surrounded by a plethora of gods and goddesses, cherubs and classical motifs. Following conservation work, the hall reopens to the public in early 2019. Eat: Buenos Aires cafe (try the spinach and ricotta ravioli). Drink: The Gun just across the river (Nelson regularly met his mistress Lady Emma Hamilton in the River Room upstairs). Bonus romance points: If you manage a snog on Lovers' Walk in Greenwich Park. 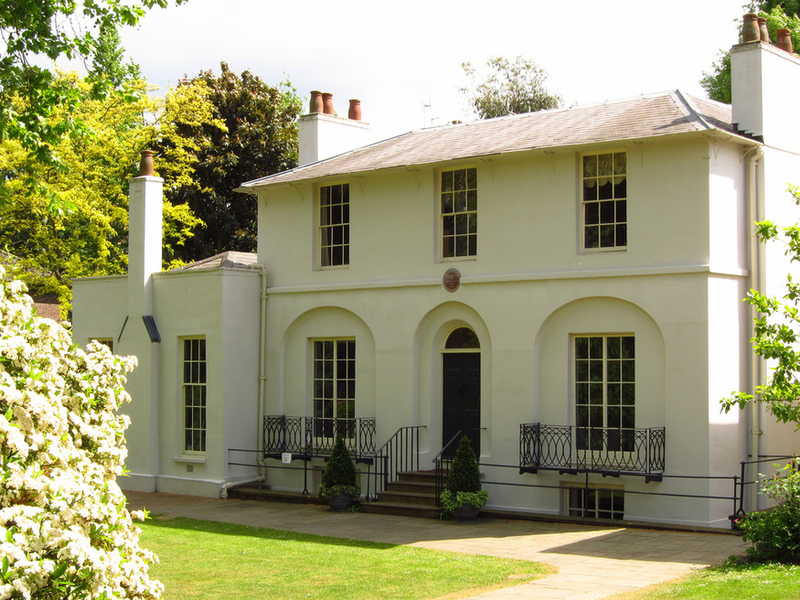 Walk in the footsteps of doomed romantic poet, John Keats, with a trip to Hampstead. Keats House. Photo by Laura Nolte. Visit the house where Keats was living when he fell for his neighbour, Fanny Brawne. It's now a monument to his life, work and death. Look out for the engagement ring he offered Fanny, a token of the tragic love affair, and read some of the most romantic poetry ever written. From there, it's a gorgeous stroll over Hampstead Heath to Kenwood House for a spot of afternoon tea. Fenton House. Photo by Stacey Fenton. 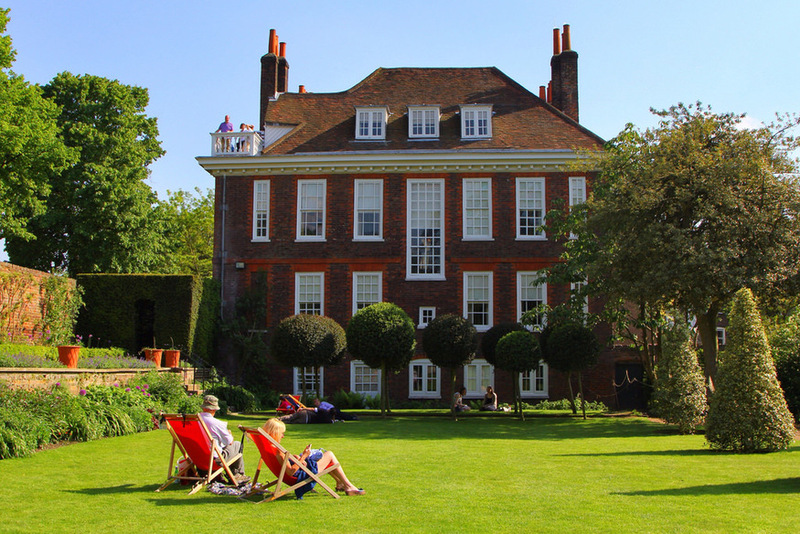 Or try and catch a summer picnic concert at nearby Fenton House in the sumptuous rose and lavender gardens. During winter, the stunning 17th century rooms in this National Trust property make for a cosy wander with incredible paintings and views from within. Drink: Coffee at the Coffee Cup (which opened 1953); or tea and cake at Hungarian institution, Louis Patisserie. Don't miss: The World Peace Garden, next to Hampstead railway station, is the perfect place to take time to reflect and enjoy each other's company. Bonus romance points: Take a moment to recite Ode To A Nightingale in the garden of Keats House; it's said to have been composed under the plum tree there. 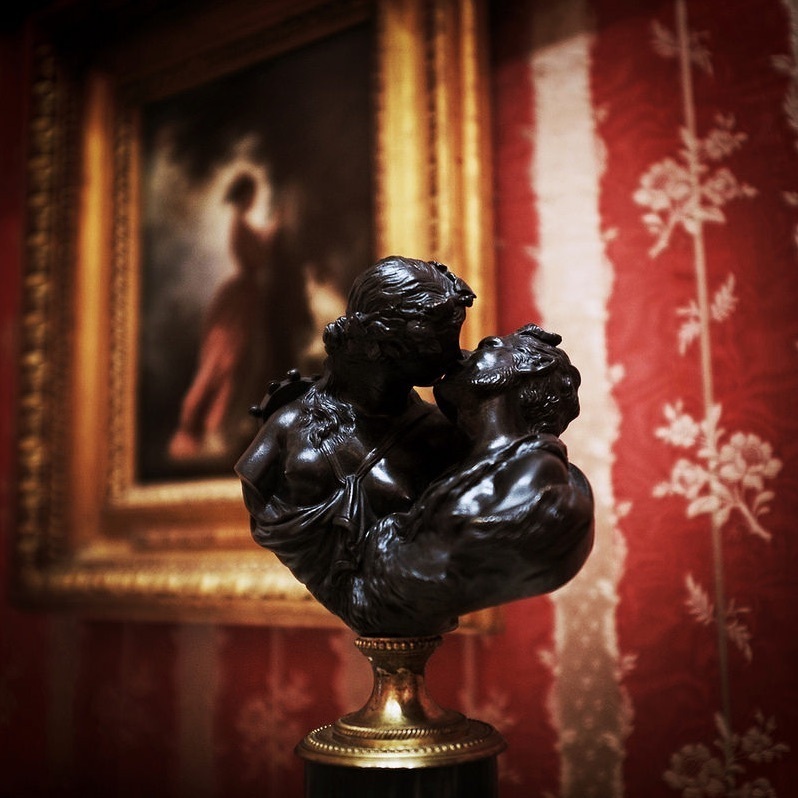 Fall in love with art all over again at the exquisite Wallace Collection: a world-famous and hugely romantic display of fine and decorative arts from the 15th to the 19th centuries. The Wallace Collection. Photo by alex. Don't miss the vast number of Old Master paintings and 18th-century French works. The galleries contain five Rembrandts, nine Rubens, four Van Dycks, and eight Canalettos, as well as pieces by Hals, Gainsborough, Reynolds and Murillo and Velasquez, to name but a few. 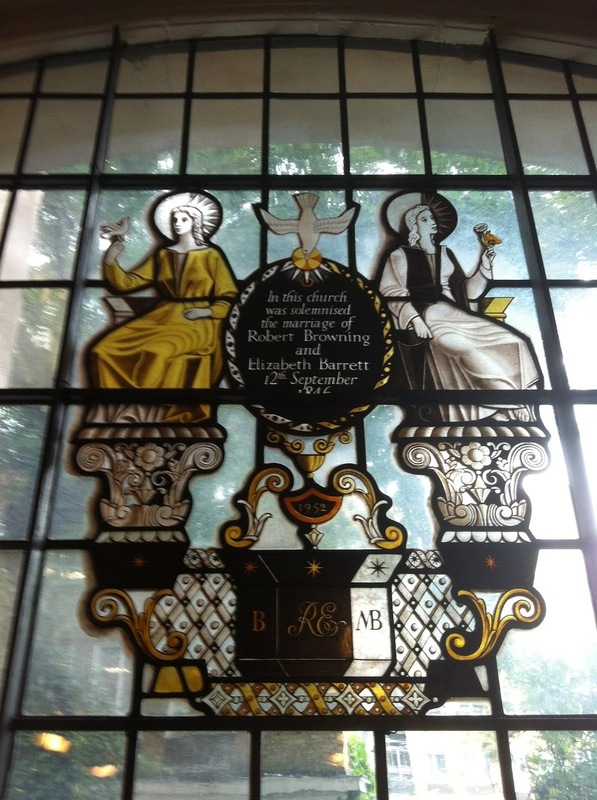 Then head to nearby St Marylebone Church to pay homage to famous London lovers, Robert and Elizabeth Barrett Browning. Photo via Girl About Town. This is where, in 1846, the couple were secretly married. A stained glass window commemorates their union. You can even read some of the 574 ardent letters the pair exchanged, which are on display in a side chapel. From St Marylebone Church, it's a short hop into Regent's Park with its stunning Queen Mary Rose Garden (best seen in spring), and the twinkling, fairy-lit Regent's Park Open Air Theatre (open between May and September), where many a romantic afternoon or evening combining Pimm's, picnics and world-class performance has been enjoyed. 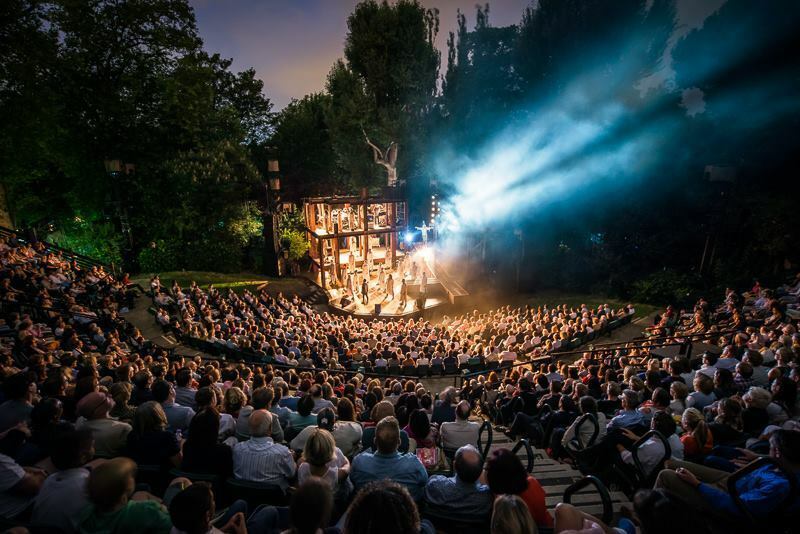 Regent's Park Open Air Theatre. Eat: Jikoni for Indian and African inspired comfort eats. Drink: Cocktails at prohibition-style cocktail bar Purl; or beer in the surprisingly beautiful Angel In The Fields pub. Do: Add a Scandinavian twist to your day trip with some homemade cinnamon rolls, a concert or exhibition, at the Swedish Church. Spend the day romancing your significant other in Richmond Park, London's largest Royal Park and, at more than 2,000 acres, the second-largest urban park in Europe. It's pretty special: classified as a European Special Area of Conservation, a National Nature Reserve and a Site of Special Scientific Interest — with a plethora of flora and fauna – and is famous for its 600-odd wild deer. Isabella Plantation. Photo by Laura Nolte. 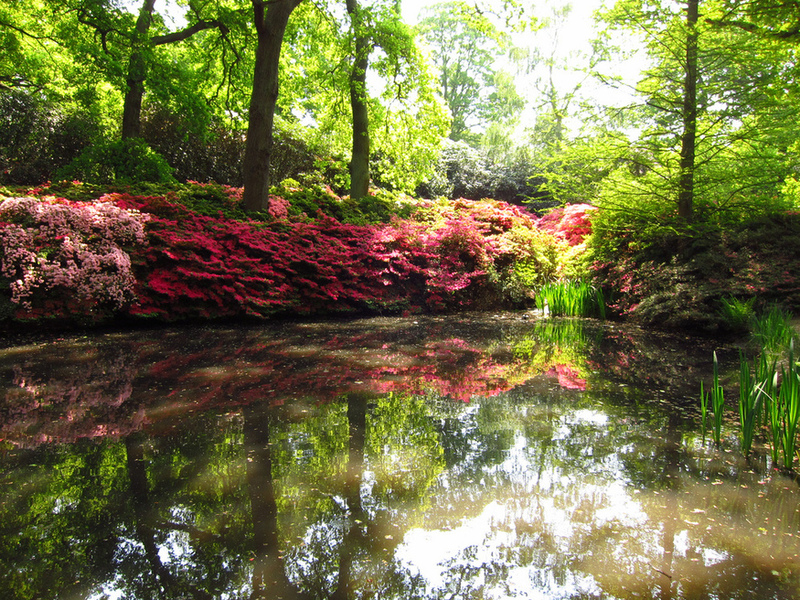 Don't miss the stunning Isabella Plantation: a botanist's paradise designed to be breath-taking whatever the season. Winter is a time for evergreens as well as the first sight of early honeysuckle and daffodils. In spring, look out for camellias, magnolias, daffodils and bluebells, while the azaleas and rhododendrons flower in late April and early May. Summer brings Japanese irises and lilies; autumn is a delight of changing colours and berry-laden bushes and shrubs. Eat: Petersham Nurseries, if you're really pushing the boat out. Drink: Take your pick from the White Cross, The Roebuck or The Marlborough (Richmond's three best pubs). Do: Look out for Ian Dury's memorial bench, near Poet’s Corner, where a QR code can be scanned from your smart phone enabling you to listen to his music as you appreciate the views over the park. 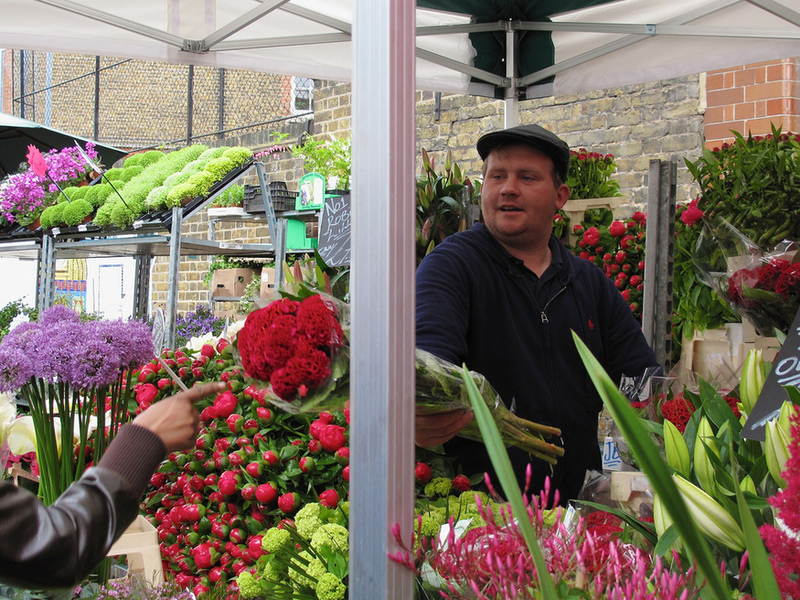 If you're dating an early bird, treat them to an 8am start on a Sunday at Columbia Road Flower Market. The agony of the ungodly hour will soon be paid off by the ecstasy of glorious plants, flowers and herbs on offer at east London's prettiest street market. Columbia Road Market. Photo by Andrea Vail. As well as the flowers, there are plenty of opportunities for sauntering, arm-in-arm, fuelled by excellent coffee, browsing second hand shops, artists' studios and people watching. Eat: Celebrate 'all things pork' (fnarr) at Brawn. Drink: The Royal Oak pub and kitchen. Don't: Buy the first thing you see at the market: take your time and be prepared to negotiate on price. Start your day with a morning stroll through Hyde Park's ever-beautiful Kensington Gardens. 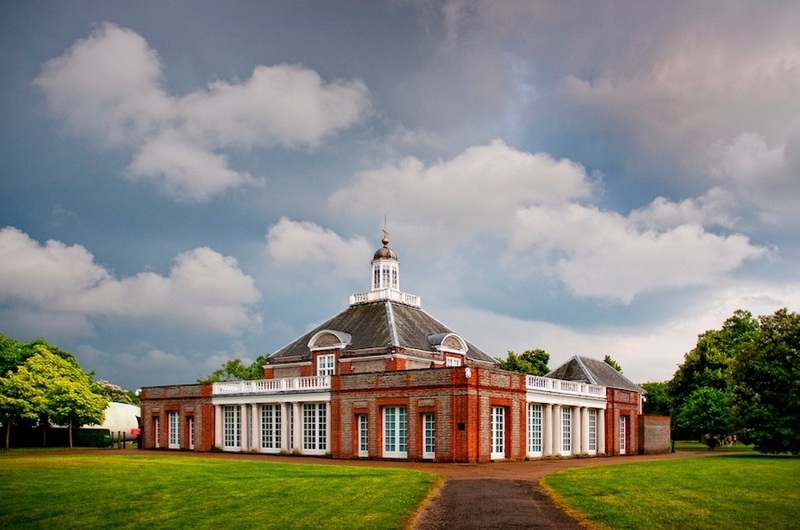 Take in the Serpentine Bridge and Lake, as well as a dose of culture at the Serpentine Gallery, site of the lovers' tryst in the heartbreaking 1997 film adaptation of Henry James's The Wings Of The Dove. Serpentine Gallery. Photo by Darrell Godliman. Then head to Kensington Palace and treat your respective other like the King or Queen they are, as you wander the private rooms of such royals as Queen Mary II and King William III. To lie by his side, and in his arms, and on his dear bosom was bliss beyond belief! When day dawned (for we did not sleep much) and I beheld that beautiful face by my side, it was more than I can express! Eat: Michelin-starred food at not-too-astronomical prices (especially if you go for the set menu), at W8 Kitchen. Drink: You can't beat a pre- or post-dinner cocktail at Chelsea Prayer Room, an intimate drinking den tucked away on the first floor of the GOAT restaurant (make sure to reserve a table and get the all-important password first). Do: Catch a film from a comfy front row bed at the Electric Cinema for a cosy finale to your Kensington day trip.